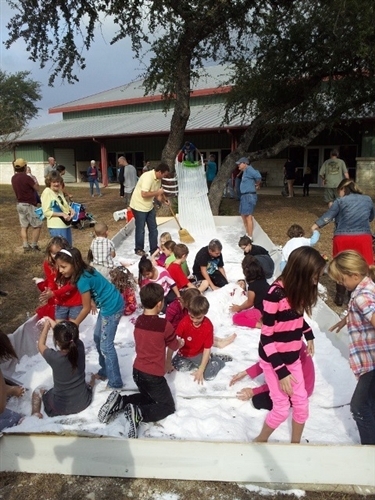 Our wholesale artificial snow will give you 3 inches of instant snow on a 12 by 12 foot tarp plus 36 Mini packets to give away as party favors, you are all set. Our frozen decorations do not include tarp. You get our 25lb mix of instant snow, plus 36 mini packets of faux snow. 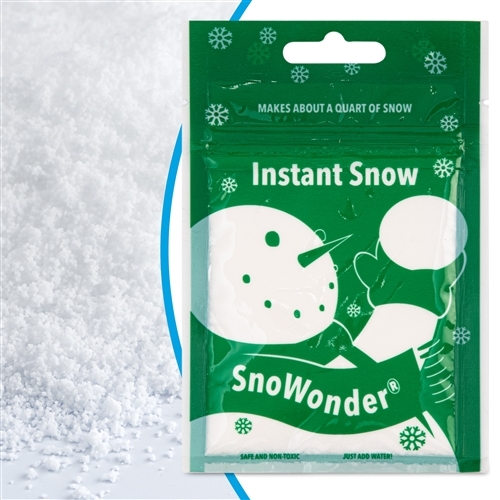 Buy instant snow powder packets here if your event needs a surplus of accompanying giveaways. This photo was taken during the TV show Extreme Makeover Home Edition, using 25lbs of bulk snow. 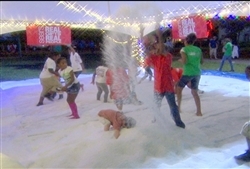 For a great package that includes a Snowman Snow Machine- click here! 100% safe and friendly to the environment Easy to Make; ERUPTS into snow in a few seconds with NO MIXING Lasts for many weeks indoors Easy to Clean Up Very Affordable After a few hours of play, save snow in a large zip bag or plastic container and reopen a day or a week later for another play day.